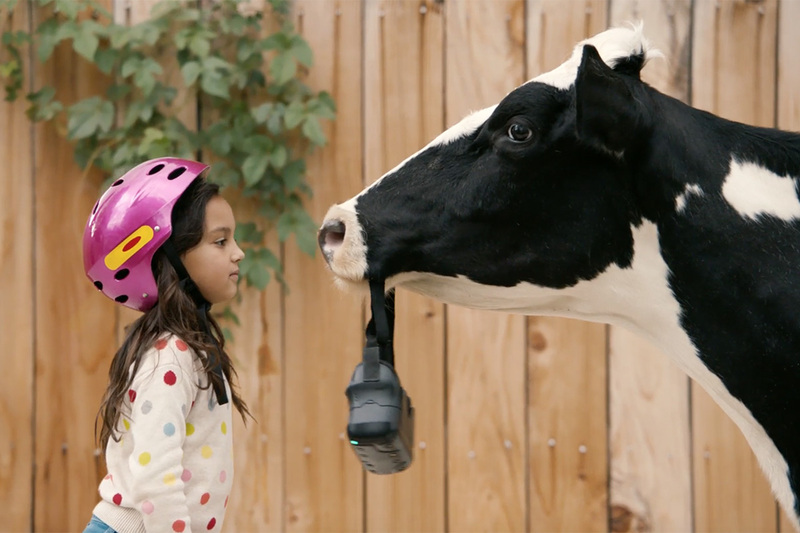 Chick-fil-A's cows have become tech-savvy pitchmen in the chicken chain's first major work from McCann New York. 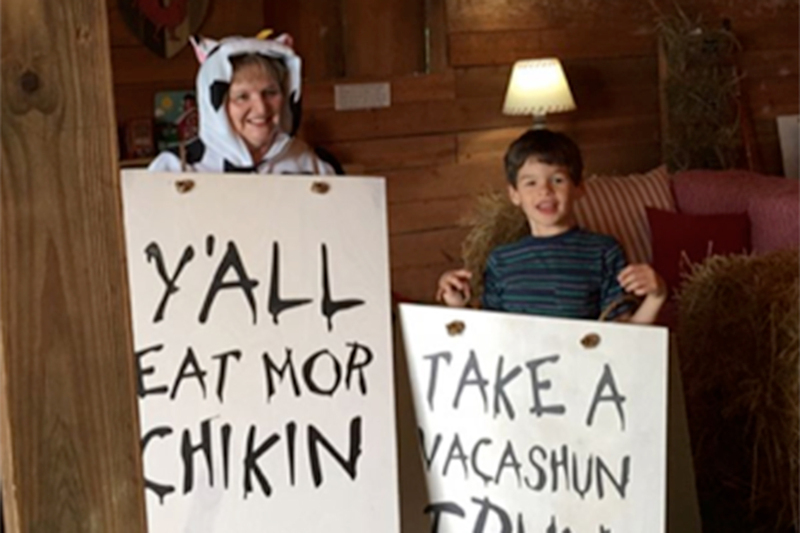 This week, Chick-fil-A began teasing (seen here) a "Cowz VR" site and distributing thousands of free Chick-fil-A-branded cardboard viewers. On Sunday, more of the story will appear when Chick-fil-A makes the site live and runs two 30-second commercials during the Grammy Awards, each featuring Starship's 1980s hit "Nothing's Gonna Stop Us Now." This is the first time Chick-fil-A has bought time during the Grammys on a national level, after running local spots in the past. 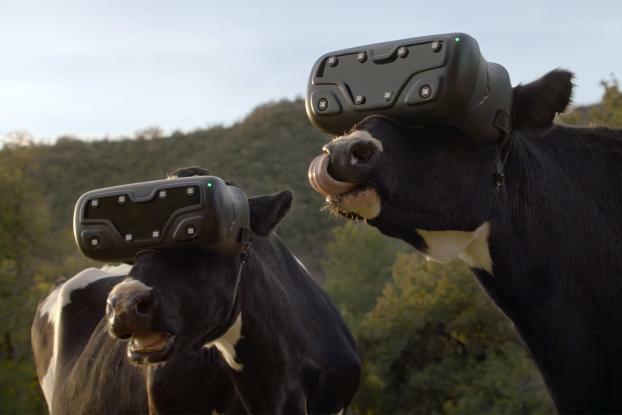 The first spot will show the cows distributing VR goggles to people and directs the audience to the site. The second commercial is a split-screen that gives a sense of what the site looks like and people's reactions to it. The agency worked with VR specialists at Framestore Pictures and directors David Mellor and Murray Butler. Using VR is new for Chick-fil-A but is already a proven winner at McCann NY, which previously collaborated with Framestore on Lockheed Martin's "Field Trip to Mars," the most-awarded campaign at Cannes last year. This time, rather than an inspiration message, the VR experience is centered around humor. 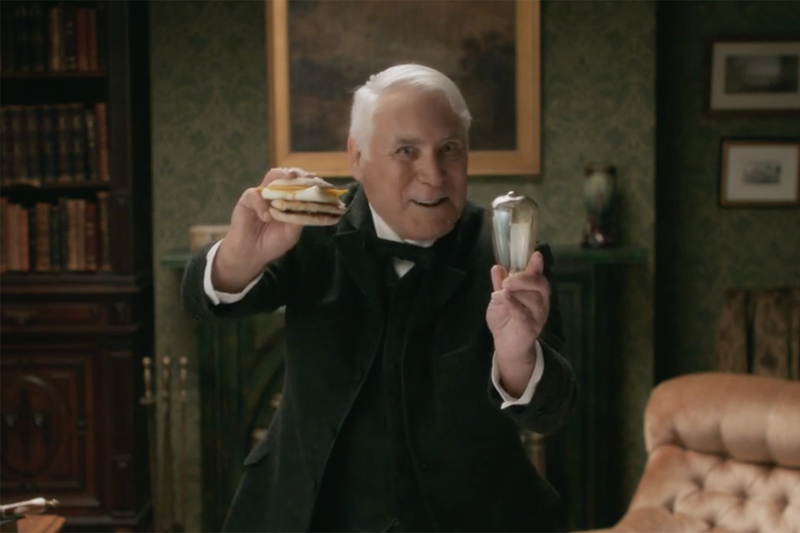 "The cows are such a great long-lasting icon associated with the brand and they've always employed whatever tech that they had at their disposal to convince people to eat more chicken," said McCann NY Co-Chief Creative Officer Sean Bryan. 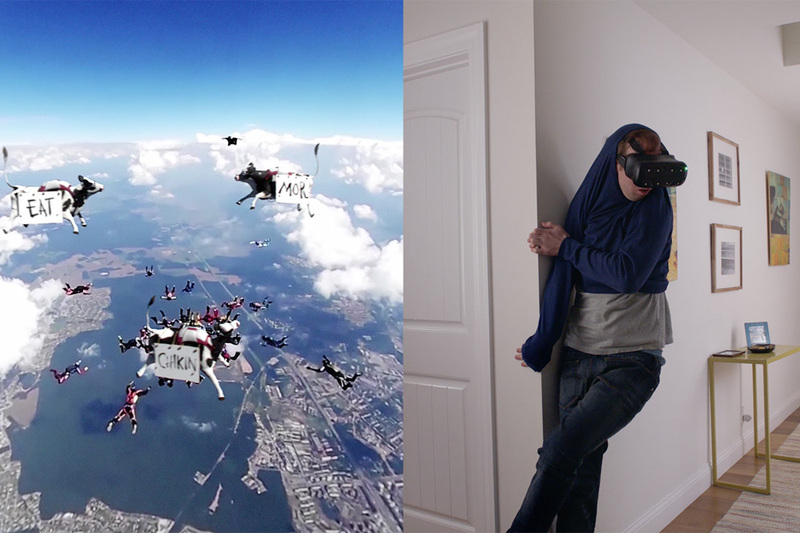 Chick-fil-A's VR and 360-degree experiences play off of adrenaline-charged VR experiences, with the cows on pursuits including auto racing, hot air balloon rides, skydiving and skiing.